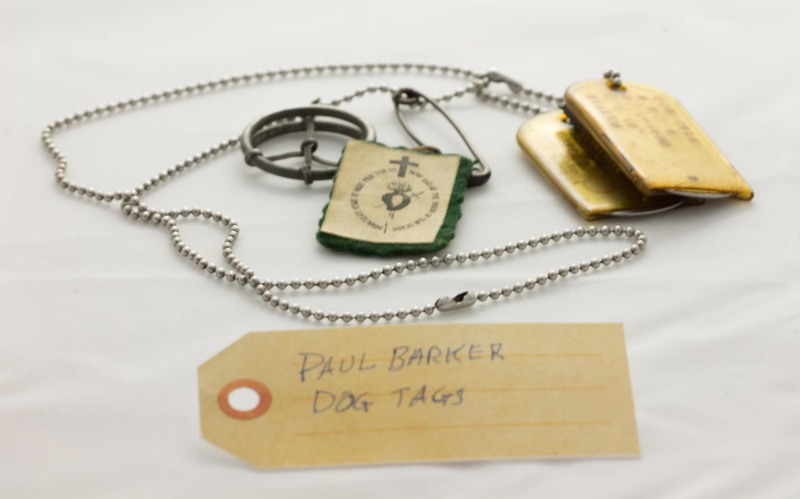 Dog tags | That Belongs in a Museum! These are the dog tags I wore in the Vietnam war in ’70-’71. What’s unusual among the paraphernalia hanging from the chain is the peace sign made from a hand grenade ring and two cotter pins, just the sort of irony that would appeal to young men. My radioman made them with his repair kit pliers and my whole platoon wore them. He thought his work should be in a museum some day, and now, one is. You can see it in a case at the National Museum of the Marine Corps in the central hallway timeline.